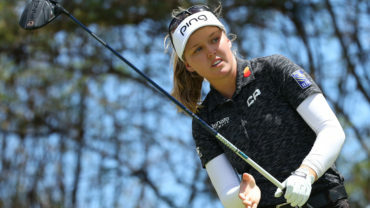 PARADISE ISLAND, Bahamas – Jessica Korda won the season-opening Bahamas LPGA Classic on Sunday for her second tour title, holing a 6-foot birdie putt on the final hole to beat Stacy Lewis by a stroke. The 20-year-old Korda closed with a 7-under 66 for a 19-under 273 total on Atlantis Resort’s Ocean Club course. Lewis parred the final four holes – two of them par 5s – for a 66. Korda tied Lewis for the lead with a 12-foot birdie putt on the par-3 17th, then got up and down for birdie on the par-5 18th. Korda’s 4-iron approach on 18 scampered through the green to the fringe just short of the grandstand. 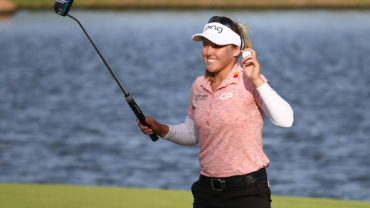 With an official and a TV announcer holding up cords that would have interfered with her stroke, she putted under the wires to set up the winning birdie. She admitted she was nervous on the winning putt. 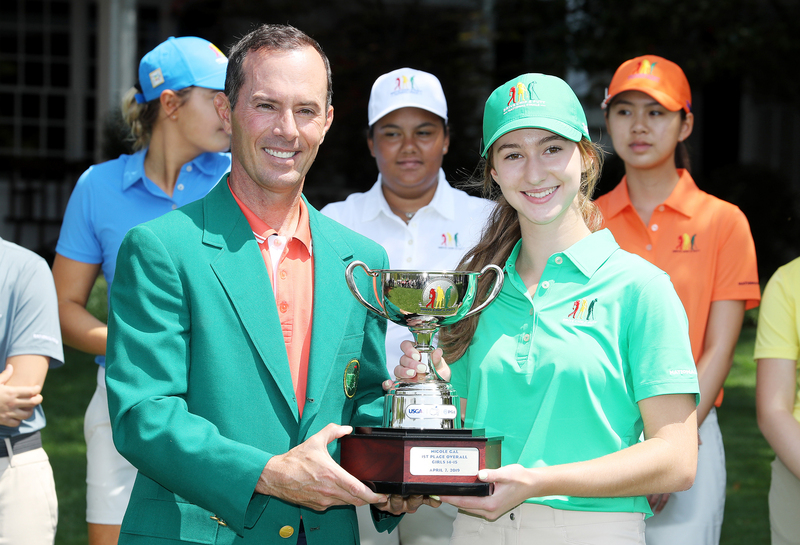 The 2012 Women’s Australian Open winner, Korda recently started working with swing coach Grant Price. She struggled with her swing last year and felt that it led to some injuries in her left shoulder and wrist. “I’m really just trying to hit good golf shots and get that swing down,” Korda said. Price, Hall of Famer Nick Price’s nephew, is fighting testicular cancer. Korda’s father, Petr, won the 1998 Australian Open tennis tournament and her mother, Regina Raichrtova also was a professional tennis player. Korda earned $195,000 and is projected to jump from 40th to 26th in the world ranking. Lewis birdied six of the first eight holes, then dropped a stroke on the par-4 ninth. She birdied the par-5 11th and par-4 14th to reach 18 under, but closed with four straight pars. On the 18th, her flop shot from short of the green came up short and her 15-foot birdie try stopped inches from the cup. Paula Creamer, paired with Korda all four days, had a 69 to tie for third with Na Yeon Choi, Lizette Salas and Pornanong Phatlum at 16 under. Phatlum finished with a 67, Salas had a 71, and Choi shot 72. Lydia Ko, the 16-year-old New Zealander making her first start as an LPGA Tour member, had a 68 to tie for seventh at 15 under. She won the Canadian Women’s Open the last two years as an amateur. Both Canadians remaining in the field saved their best golf for the final round. Hamilton’s Alena Sharp fired a 5-under 68 to climb into a tie for 18th. Toronto’s Rebecca Lee-Bentham shot a 4-under 69 and finished tied for 52nd.